WashPod is built upon Shine’s ShowerPod technology and incorporates laundry machines in addition to shower facilities. WashPod is built from the ground up to be sustainable and functional. WashPod uses affordable, high quality building materials. 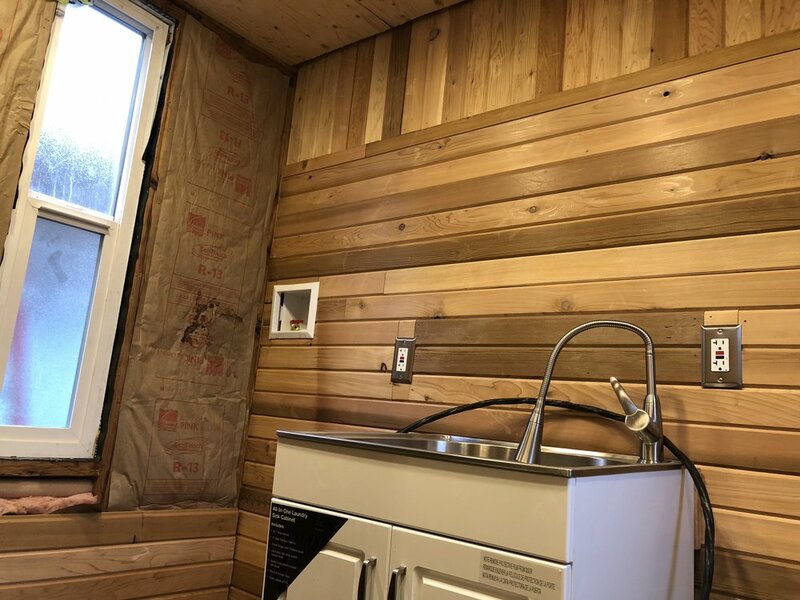 Inside, the pod is divided into two rooms, one with a full sized shower, bench, and changing area and another with state-of-the-art laundry facilities and a sink. WashPod can be used by two community members simultaneously, and prioritizes privacy, while at the same time maximizing efficiency. 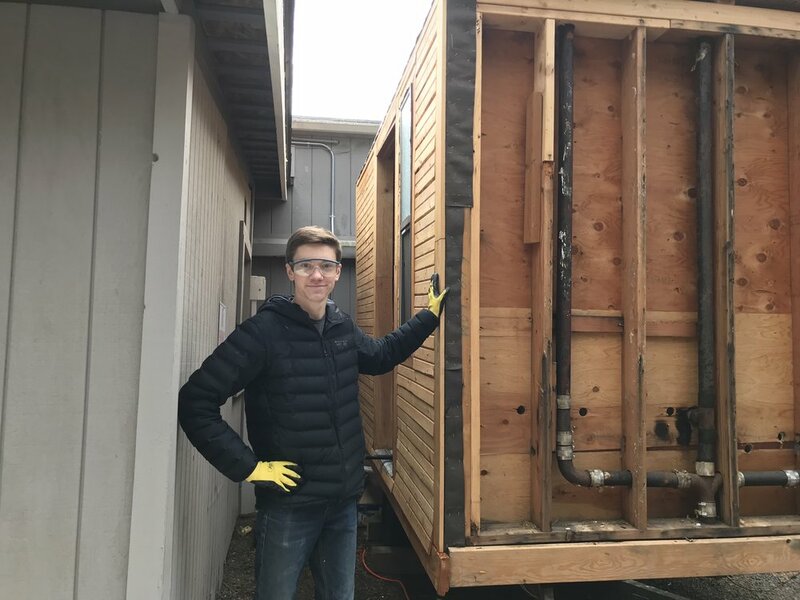 Together, the Catlin Gabel Community Engineering team and Shine researched, designed, and built the first WashPod prototype. Throughout the design process, the team interfaced with residents of “tiny house” villages to understand and meet their needs. WashPod is designed to maximize energy efficiency and minimize carbon footprint. WashPod uses an innovative hybrid power generation system to filter, heat, pressurize, and treat water and power a high-efficiency washer, dryer, and shower. 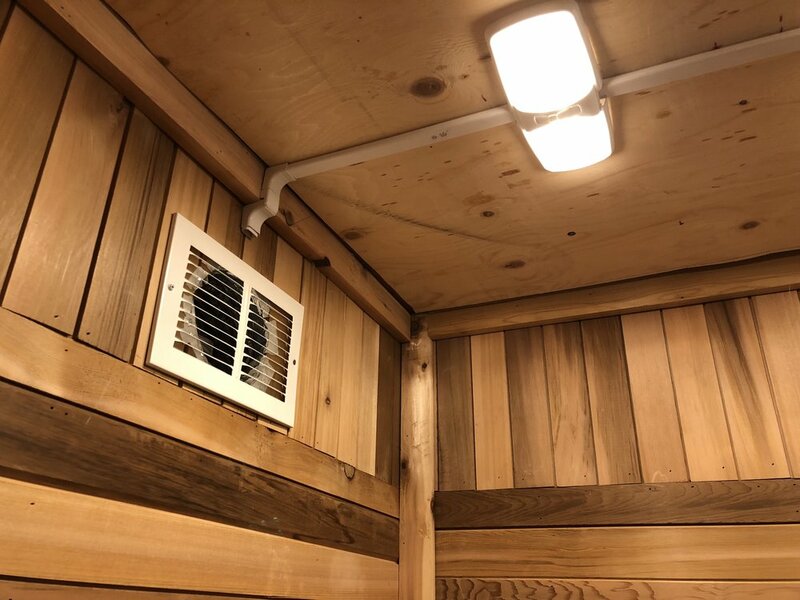 WashPod's hybrid power generation system uses solar power supported by an efficient, quiet propane generator, propane dryer and hot water heater. This project was funded by winnings from the first round of the Lexus EcoChallenge 2017-2018.